A Paradise for Underwater Photographers! 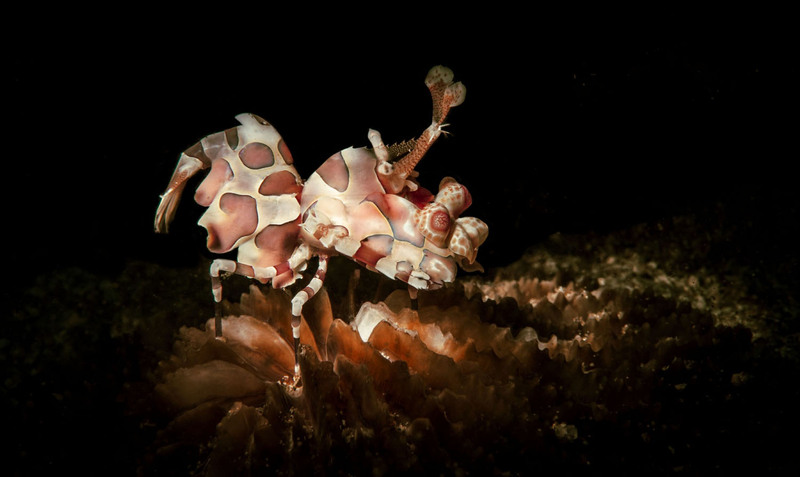 Mabul Island offers some of the best macro diving around. 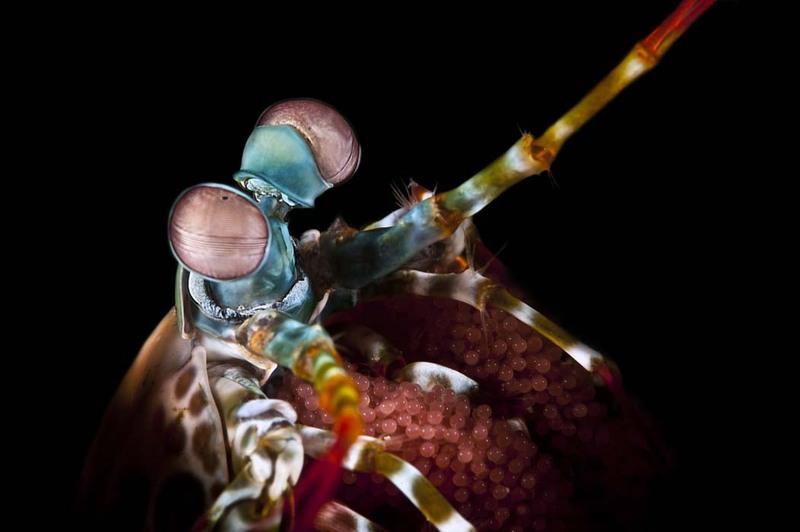 Crazy creatures and tiny, interesting-looking critters are what the diving is all about at Mabul Island. 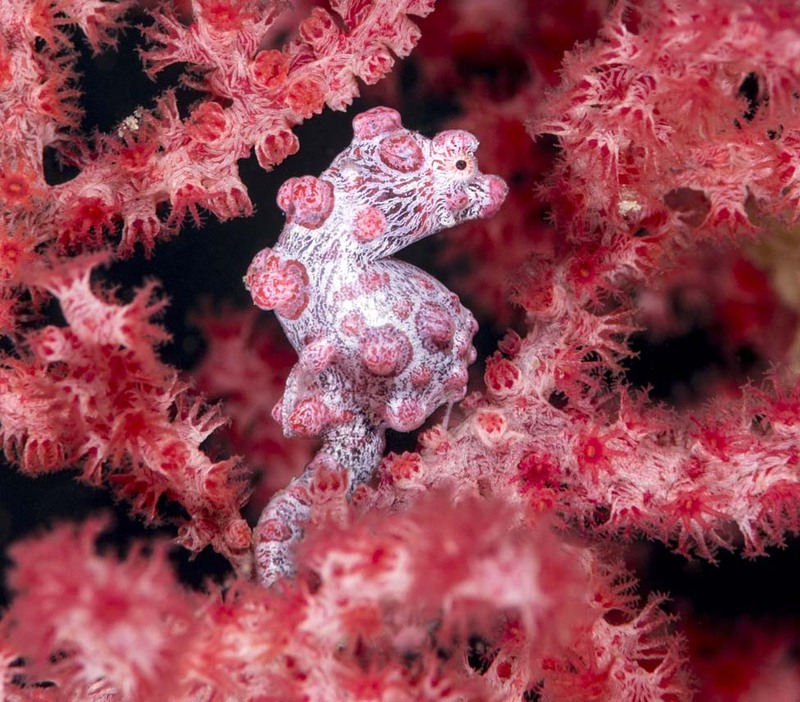 Divers enjoy regular sightings of flashing flamboyant cuttlefish, pygmy seahorses, harlequin shrimp, well-hidden frogfish, blue-ringed octopus, scorpion leaf fish and more. 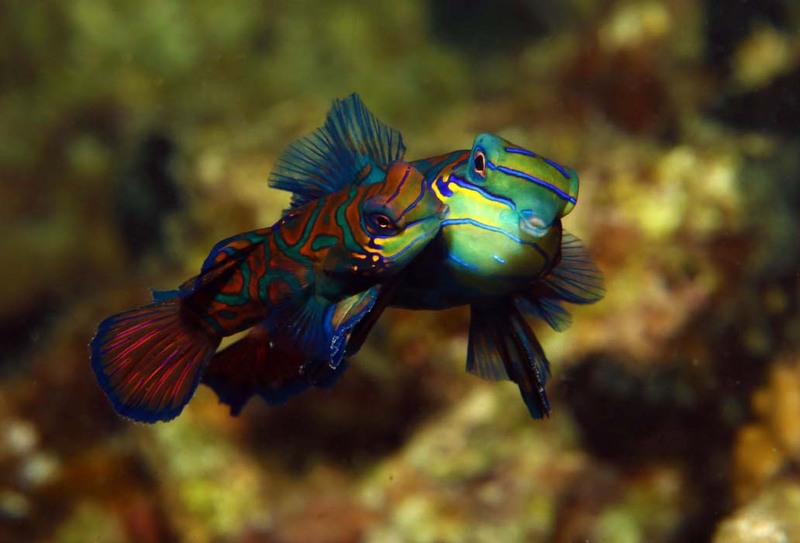 An absolute must when visiting Mabul is the sunset boat dive to see the magnificent mandarin fish and their mating display. Every day at around 5pm these sweet, vibrant fish meet at Paradise 1 and perform an incredible mating ‘dance’ similar to a twisting underwater tango. On the north east of Sipadan lies a great muck diving spot known as Froggy Lair. Boasting an array of rare and unusual marine animals, Froggy Lair is a Mabul-favourite and is especially popular with macro photographers. 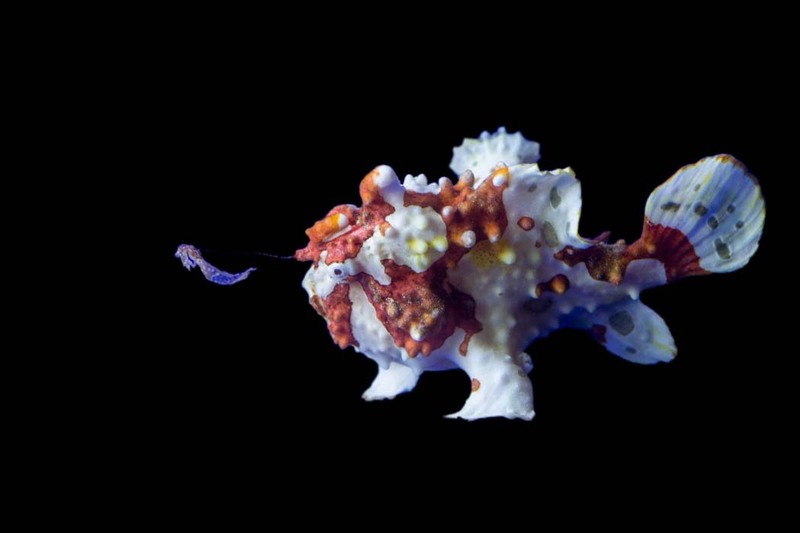 Photograph subjects often include ghost pipefish, frog fish, flamboyant cuttlefish and brightly coloured nudibranchs. 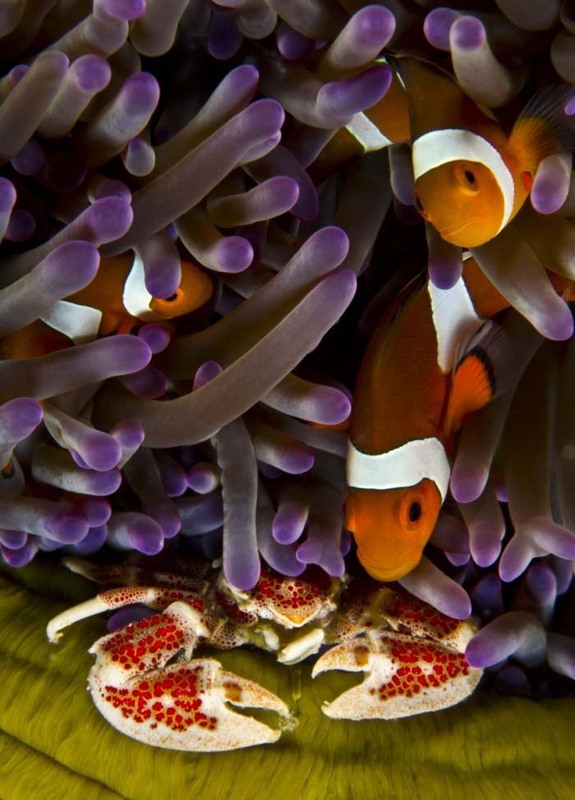 Those with a keen eye for critters will be rewarded with all sorts of marine life hiding in the crevices of the reef as well as in old discarded tyres lying at the bottom of the sea floor. There have also been sightings of the blue-ringed octopus around Froggy Lair which is a fantastically lucky sighting for any diver. Crocodile Avenue on the northern side of Mabul is ideal for macro divers and avid underwater photographers. Although divers won’t find crocodiles in these waters, the site gets its namesake from the numerous crocodile fish that call this area home. 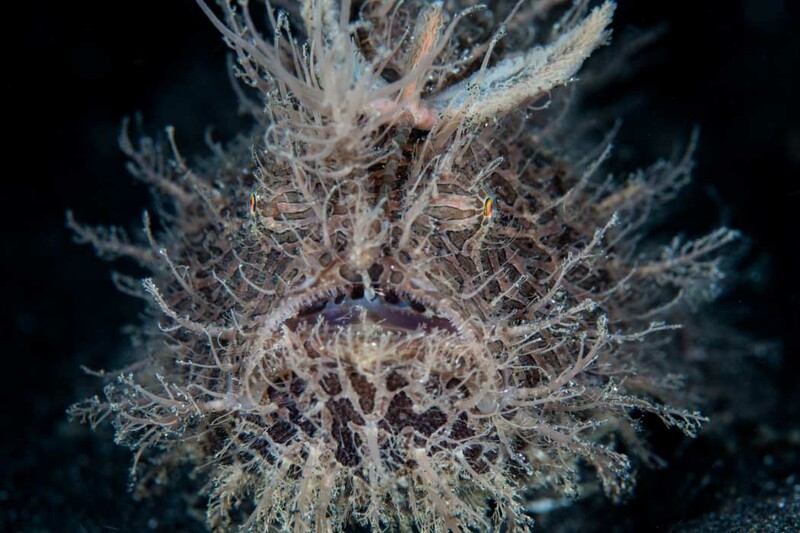 Harmless and brilliant camouflage artists, the crocodile fish can generally be found on the sandy sea floor where divers could also spot snake eels or ghost pipefish. 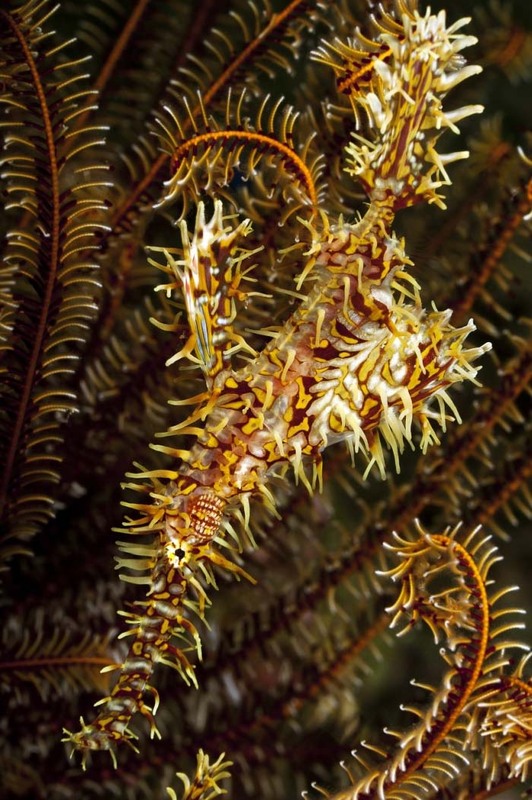 Divers should be on the lookout for tiny seahorses in the weed patches of this gentle sloping reef,. Crocodile Avenue is also a great choice for a night dive in order to see some of the more common marine animals in a completely different light. 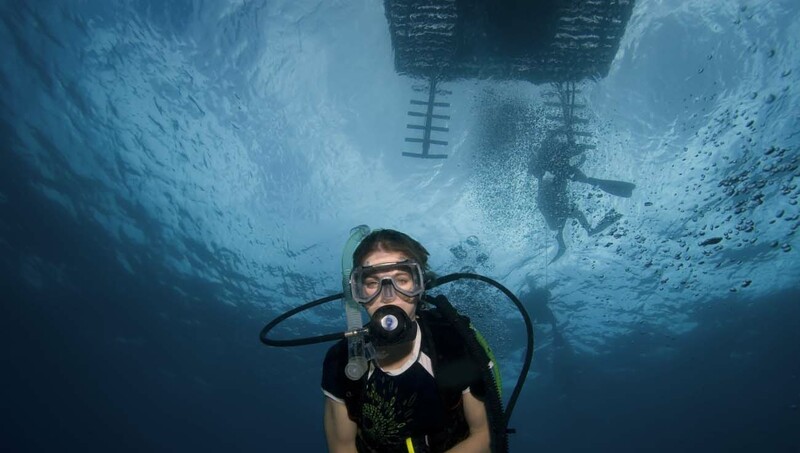 The Seaventure Platform is a truly unique place to dive given the structure of the artificial reef is actually a decommissioned oil rig located 300 metres from the jetty at Sipadan Water Village resort. The oil rig has become an impressive dive site, boasting plenty of macro underwater life that have chosen to make this odd and crumbling structure their home. Frogfish, leaf fish, crocodile fish and lion fish are just a few of the fish divers might see below the old oil rig. 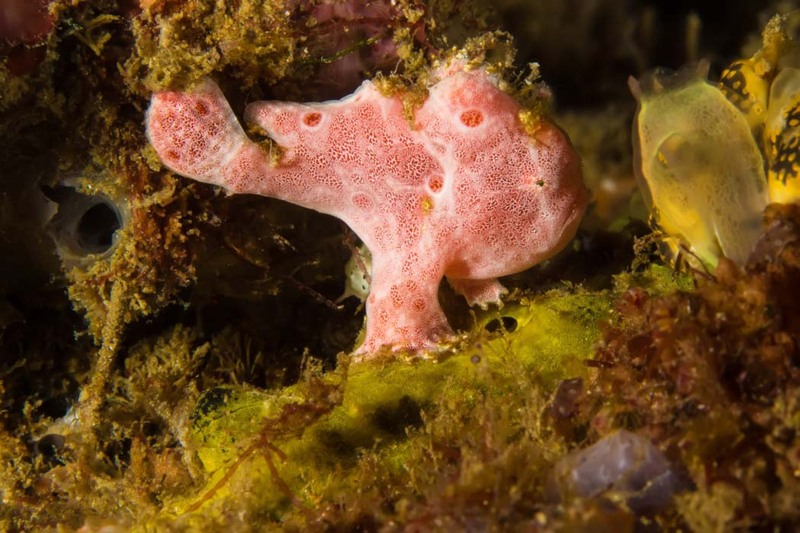 On the small side, there are pygmy seahorses, mantis shrimp, critters and nudibranchs to be seen, whilst the big ticket creatures tend to be giant morays. 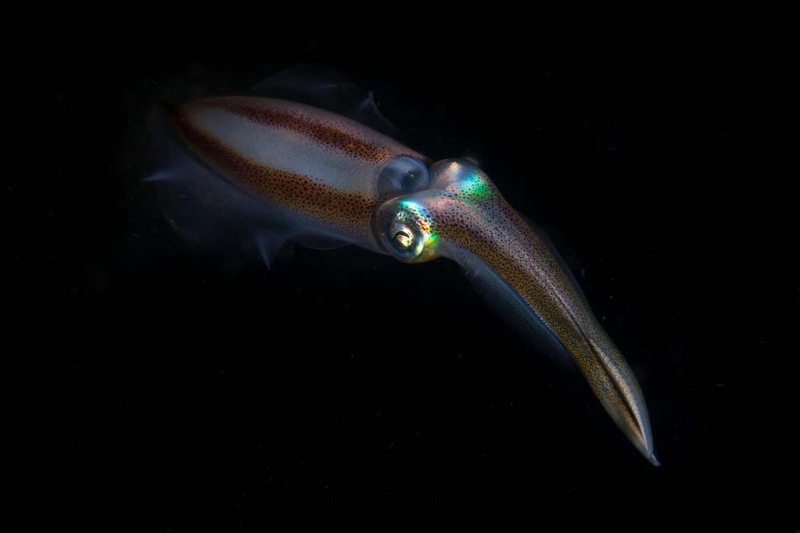 The oil rig also makes for a great night dive for those staying nearby. 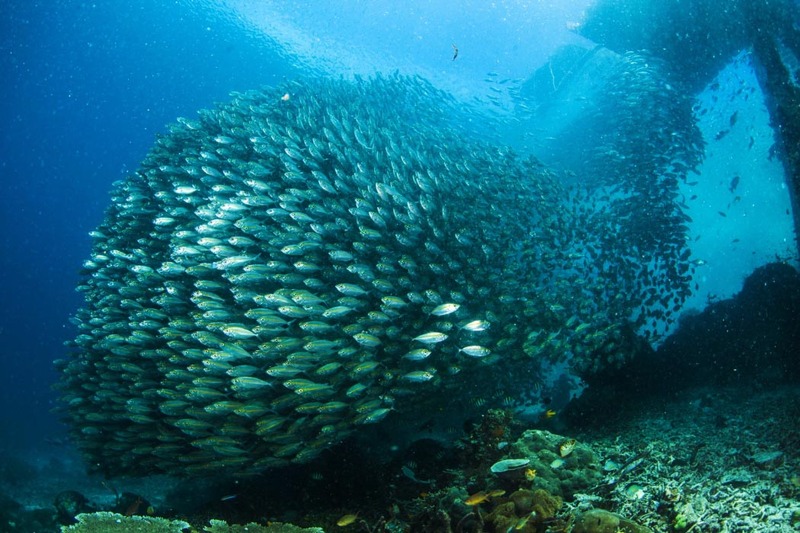 Mabul’s House Reef is a muck diving paradise located right in front of the jetty at Borneo Divers. Boasting an impressive array of underwater life thanks to a number of artificial reef structures put in place by local dive operators, these wrecks and metal constructions have encouraged a flourishing of marine species just below the jetty. 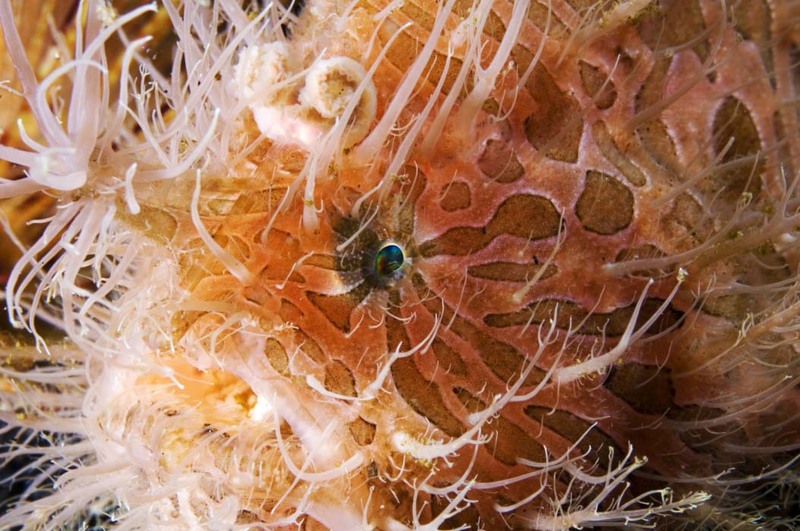 Frog fish, harlequin shrimp, seahorses, porcelain crabs and squat lobsters are just some of the hidden creatures divers might find at the House Reef as well as larger creatures such as morays and sea turtles. 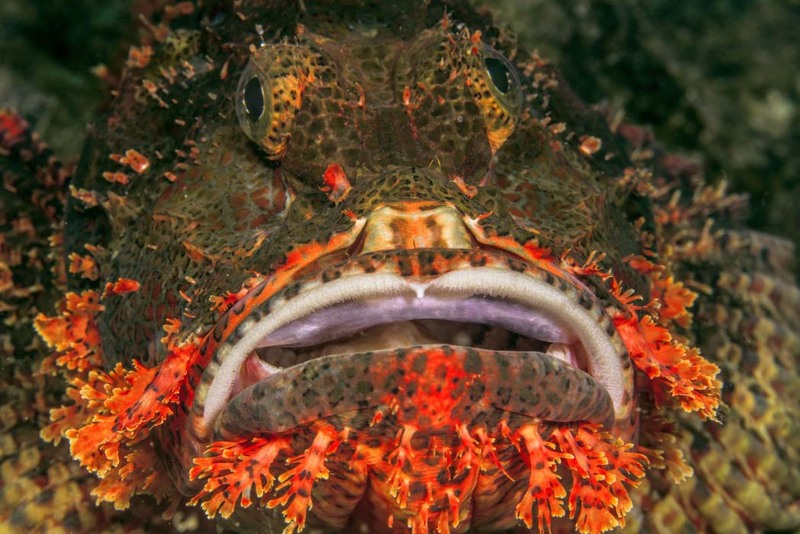 There’s plenty of odd-looking marine species in the area such as nudibranchs, leaf fish and ghost pipefish, so underwater photographers are sure to have plenty of great subjects. In fact, the artificial reef project has been so successful that it is now considered a miniature version of Sipadan, with many types of fauna to be seen. Divers should also look out for giant stingrays and large schools of trevally. As the name suggests, Eel Garden is literally a garden full of eels that seem to come out from the seabed to observe divers swimming by. Divers are lucky enough to see a variety of eel types here, such as morays, blue ribbon eels and of course masses of garden eels. 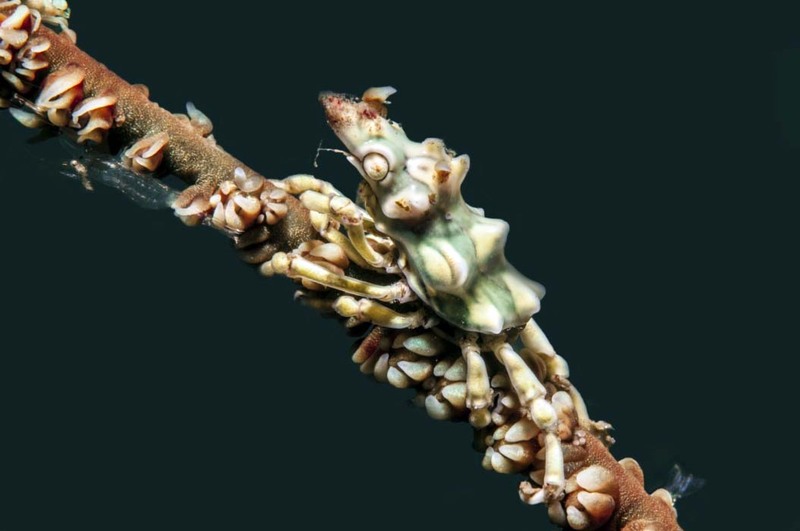 Located towards the south end of a rocky, sloped reef there are a number of other interesting marine animals to spot such as batfish, gobies, frogfish and large mantis shrimp. Eel Garden is the perfect spot to capture some great underwater footage if you’re a budding videographer or underwater photographer. The reef also makes a fantastic night dive. 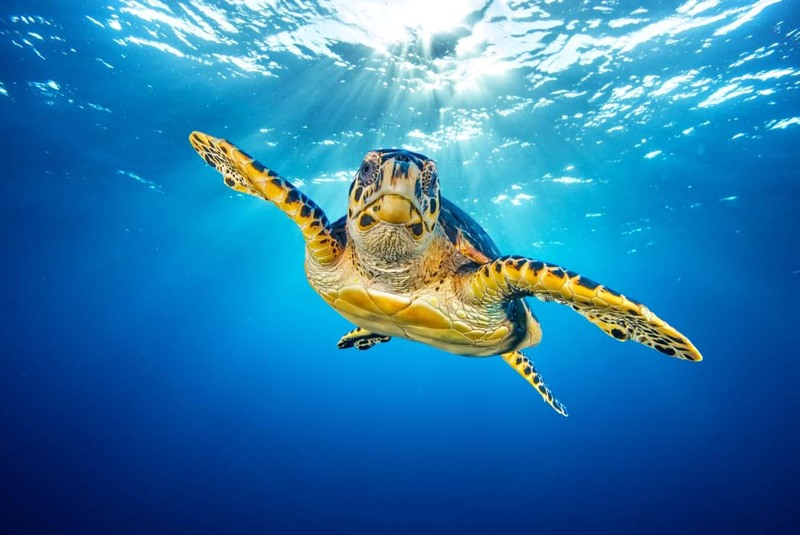 These two dive sites are highly unlikely to disappoint divers, which is part of the reason that they are so popular with tourists and local dive companies. Both sites are located very close to the island and boast amazing coral life that makes for a thriving underwater environment. Paradise 1 is completely covered in a coral forest and is often the site to spot a number of rays including whiptail rays and blue-spotted mask rays. Paradise 2 is renowned for its unique staghorn coral that occupies the reef. Divers that visit Paradise 2 are often looking for the vibrant mandarin fish amongst the horns of the staghorn coral. Ray Point is a great and varied dive site in Mabul, specifically known for the blue spotted rays that hang out on the sandy sea floor. The reef follows a gradual slope that reaches 25 metres in depth and Ray Point lies on the south western side of the reef. Common sightings at Ray Point in Mabul include turtles, groupers, lion fish, cuttlefish, boxfish and large trevallies. 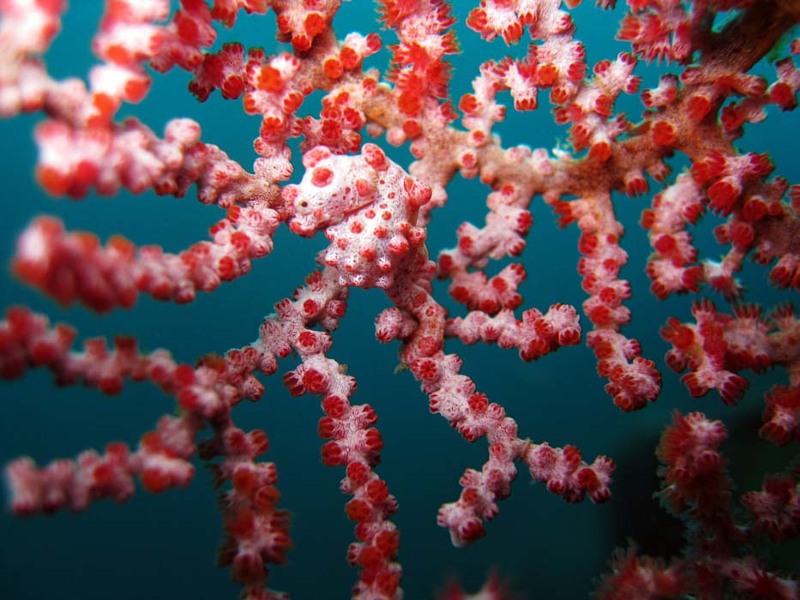 The underwater plant life is beautiful with gorgonian fans and sponges decorating the reef as well as various live coral species that thrive in the environment. For many divers, Lobster Wall in Mabul is the best diving site the area has to offer. Located on Mabul’s western reef, the vertical wall features plenty of nooks and crannies and is a naturally beautiful environment teeming with life. The cracks in the wall house hiding lobsters, seahorses and stonefish, and divers should also keep a close look out for clown fish, box fish, trigger fish and ghost pipefish. The vibrant sea fans add additional beauty to the wall whilst the colourful nudibranchs are a pleasure to find. There are also soldier fish and squirrel fish located around Lobster Wall. Stingray City is a beautiful sloping reef located opposite the main jetties on Mabul Island. Best known for the large population of stingrays, there are also a number of critters to be seen here as well as crocodile fish. Macro and micro divers are well-suited to this dive site as there are plenty of coral clumps just waiting to be explored, not to mention critters waiting to be discovered. 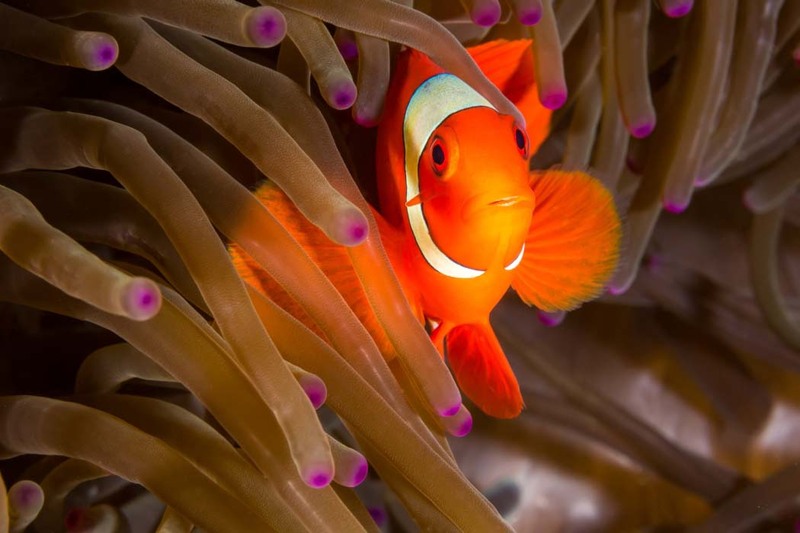 Known as an underwater paradise for macro lovers, guests staying at the Sipadan Water Village resort are lucky enough to call Paradise their house reef. 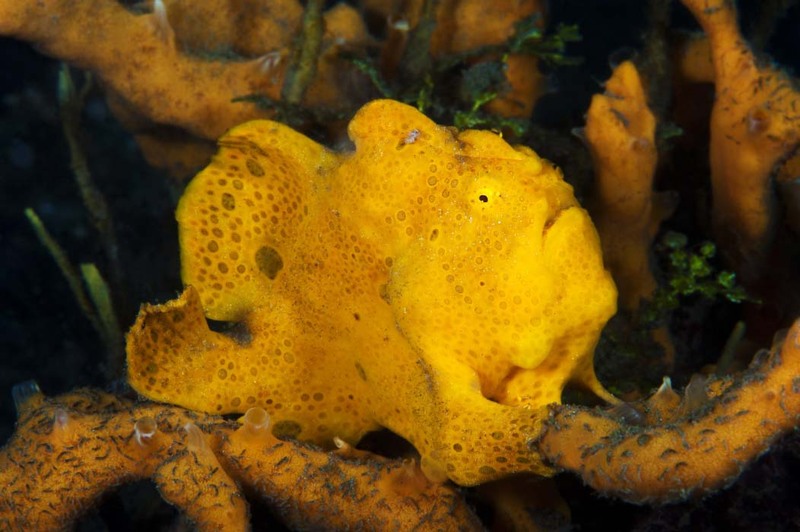 Divers can hope to see ribbon eels and morays, frogfish, tobies and ghost pipefish nearby as well as cuttlefish and yellow-spotted burrfish. 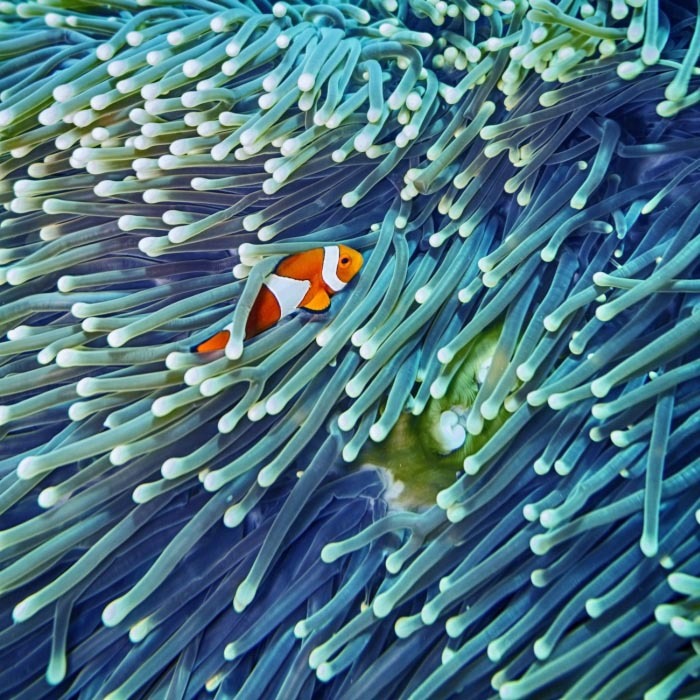 Ribbon Valley is a fantastic biodiverse reef located on the southern tip of Mabul. The interesting reef features terraced slopes that gradually lead towards a depth of 30 metres. Amongst the slopes are colourful waving gorgonian fans as well as a number of reef fish such as parrotfish, emperor fish, butterfly fish, scorpion fish and damsel fish. 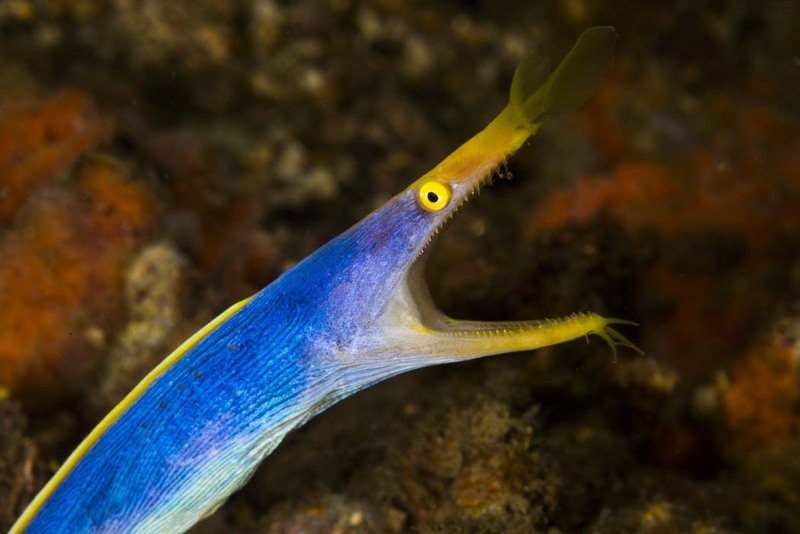 Ribbon eels, as the name of the site suggests, are common sightings as are bubble coral shrimp, squat lobsters, nudibranchs and worms. Located just south of Mabul’s western fringing reef, Panglima Reef is a stunning underwater scene with great marine life to see. The reef itself slopes gently and varies between rocky and sandy areas to coral covered areas. 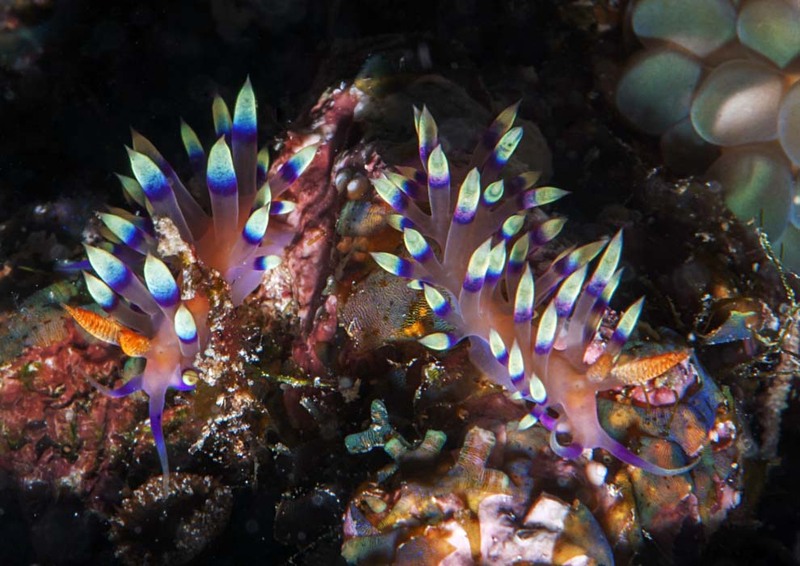 Sponges and clusters of corals are home to tiny critters and colourful nudibranchs of all varieties. Expect to see larger life here too such as large sea turtles. 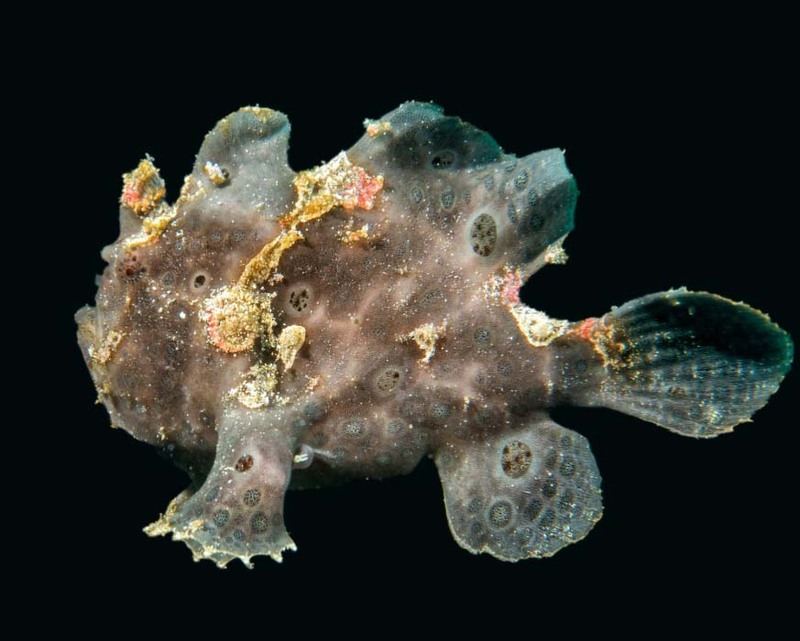 Frogfish are prevalent in this area of Mabul, which is why there are a number of dive sites named after them. You may find sites referred to as Froggys Mabul, Froggie’s or Froggys, however the Froggys reef described below is the artificial reef near SMART. 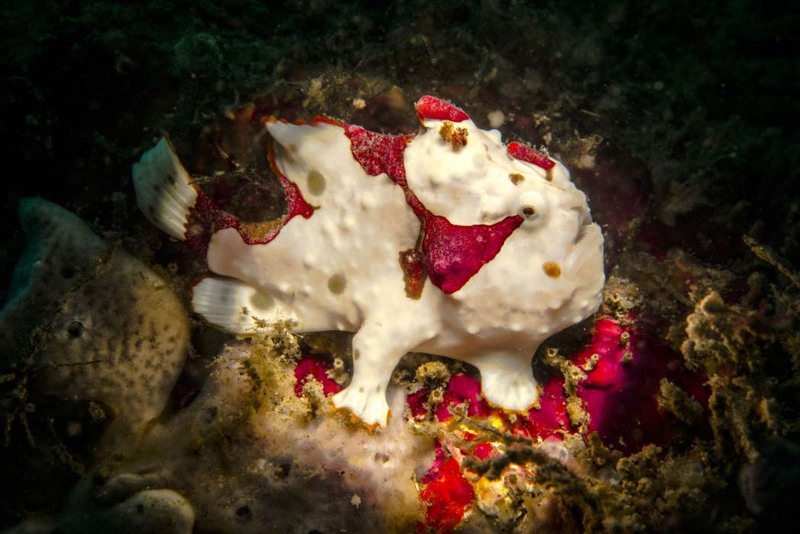 This reef has specific structures that seem to attract these camouflage champions, and a variety of frogfish types can be seen for those with a keen eye. The artificial reef lies within a sandy sea bed, making muck diving the name of the game here. Located right off the jetty of Scuba Junkie Resort, Awas Reef is an interesting muck dive that occurs between sand between mooring buoys. Also called Tino’s Paradise after one of Scuba Junkie’s founders, the area is a small but thriving metropolis for all sorts of critters and larger underwater life. 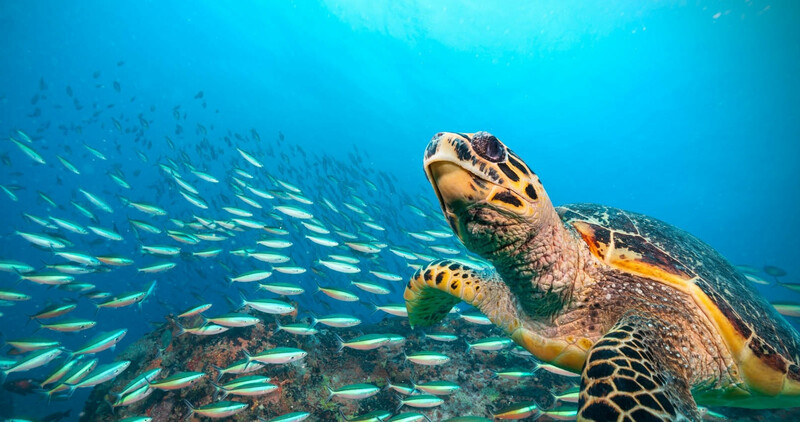 Divers are spoilt for choice at Awas and are likely to see at least 20 different marine species in a single dive, although there are probably closer to 200 different species in the area. 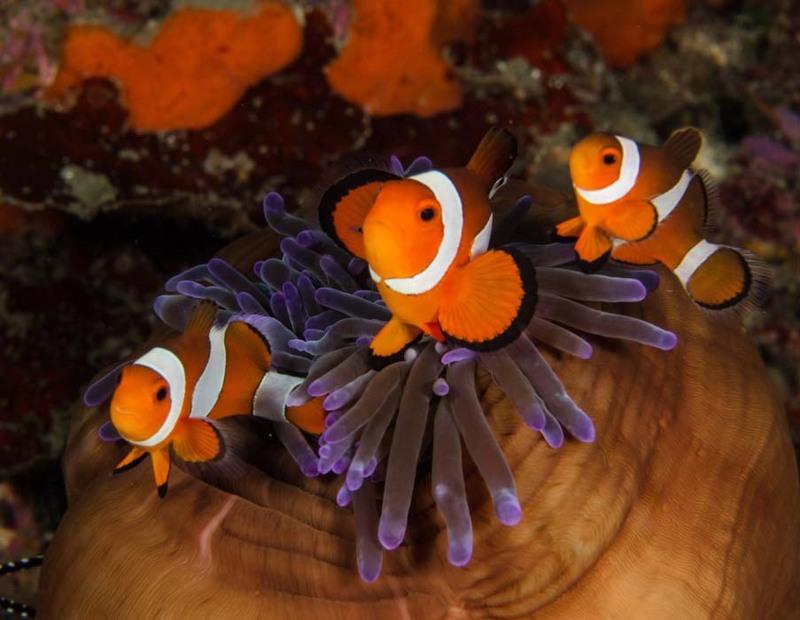 In terms of underwater flora and fauna, expect to see plenty of anemones, sea fans and feather stars in various colours. Thicklips, zigzag wrasse, blue dragons, great barracudas, trumpetfish and morays can all be found swimming around or hiding out here. 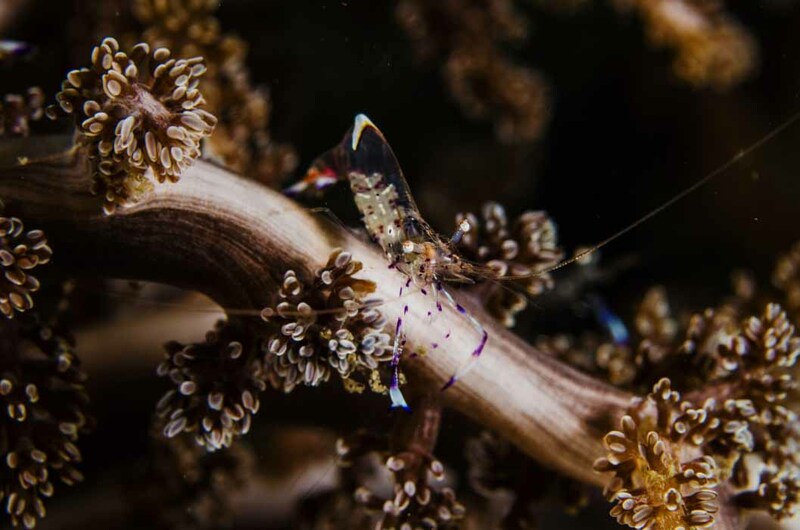 There are also all sorts of shrimp including banded coral shrimp, tiger shrimp and mantis shrimp. If it’s a widely varied site you’re after and muck diving is high on your priority list, Awas Reef is the right choice. Located to Mabul’s east, the Coral Reef Garden is ideal for those completing their very first muck dive due to the easy conditions, shallow depths and plentiful macro life. The colourful corals here house a number of shrimp species, crabs, seahorses and of course vibrant nudibranchs in all shapes and sizes. 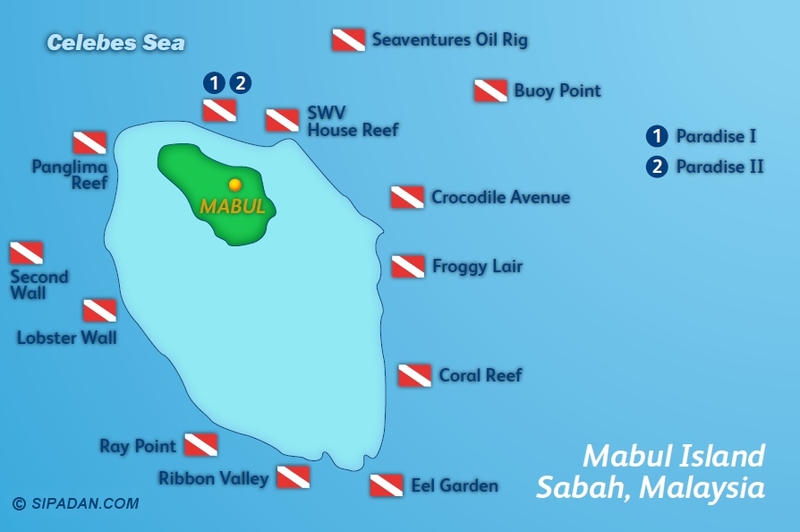 Mabul island is open throughout the year and muck diving is excellent all year round. Excellent for sea turtles, macro and muck diving. It was also nice to be able to do unlimited dives at the house reef. Mabul is a fantastic fish nursery. Hands-down to some of the best macro diving I have ever done. Diving was really great, I’d never dived under an oil rig before at Seaventures! There were colorful marine life everywhere I turned. Let us handle your diving holiday to Sipadan and Mabul.